Welcome to the Frictionless Finance Report, our bi-weekly look at everything that’s new in the world of Open Banking, FinTech and consumer experience. If you’d like to receive this in your inbox every other Wednesday, simply fill in the form at the bottom of the page. This week we examine progress made in Australia towards implementing Open Banking by next summer, the impact Open Banking is having on sectors such as payments and identity, and what it all means for consumers looking for a mortgage. What will be the impact of Open banking upon the UK’s payment sector? That’s the question posed by David Beach in Bobsguide. Beach relates the introduction of Faster Payments in 2008 to illustrate how dramatically the sector can change. With the introduction of Open Banking, the sector is ready for another realignment, as data becomes the principal driver. For banks, one of the key questions being posed is whether to build, or to buy, new technology that will allow them to enjoy the fruits of the data that they hold. Beach cites a number of industry experts in this long-read. In another excellent long-read the future of Open Banking in the United States is deconstructed by Joe Rizzi. Examining banks viz-a-viz FinTech’s and TechFin’s such as Google and Amazon, this article makes the case for Open Banking as the democratisation of financial data, bringing access and competition at various points within the financial chain. The 10th Annual Study of Innovation in Retail Banking was released this week citing Open Banking as the top innovative technology, ahead of machine learning, chatbots and robotic process automation (RPA). 65% of respondents within the report cited Open Banking APIs as the top disruptive technology to impact upon the banking sector. said Vincent Bastid, CEO, Efma. 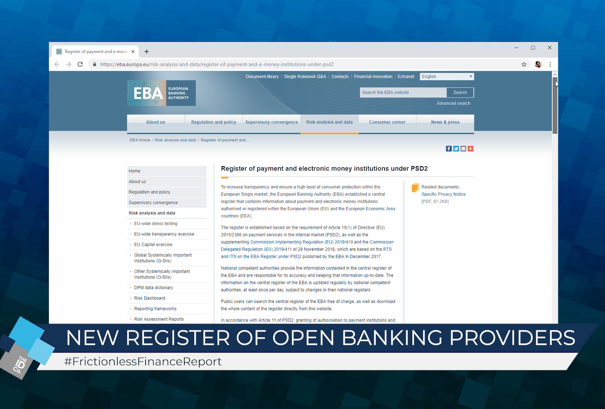 As progress continues unabated, a number of different media outlets are covering the progress that has been made in Open Banking since implementation. Simon Lyons in SMEWeb has covered how Open Banking can be of great benefit to SME’s struggling to stay on top of their finances. A similar line can be found in pmnts.com who have conducted an interview with KPMG on how SME’s can utilise Open Banking. Matt Ford of Tandem has been interviewed by Bobsguide, in which he gives a positive outlook for Open Banking in the UK, and Huw Davies of Token.io has written on some of the areas that Open Banking is already impacting, including payments, data aggregation and identity and verification. The Independent has not been so fulsome in its praise, asking who would have thought that “by the end of the year the whole thing [Open Banking] would have somehow sunk from view.” They then go on to list some of the tech leaders working in finance, including big-hitters such as Yolt and Moneybox. Open Banking is sure to have a major impact on the mortgage industry, and Mortgage Finance Gazette have covered their recent conference relating the views of HSBC on Open Banking. HSBC are mining the data they have gleaned from their Connected Money app to see how this could be applied to the mortgage industry. They are further focused on improving the customer journey for mortgage customers, to make the best decisions in the fastest possible time. If the news is good for mortgage customers, can the same be said for brokers? Financial Reporter have concluded that ultimately, it will give brokers more knowledge and insight about each customer, thus being able to make more informed decisions than currently. And this view is fully endorsed in this article by Bridging & Commercial. Perhaps unsurprisingly, a new survey from YouGov has revealed that high-street banks are more trusted on apps utilising Open Banking than FinTech’s. A further survey by Hampshire Trust Bank’s (HTB) stated that only 35% of their bank customers had heard of Open Banking. Finally, David Cunningham of Priviti has written on LinkedIn why the introduction of Open Banking and GDPR has created a synergy that will work to the benefit of consumers. 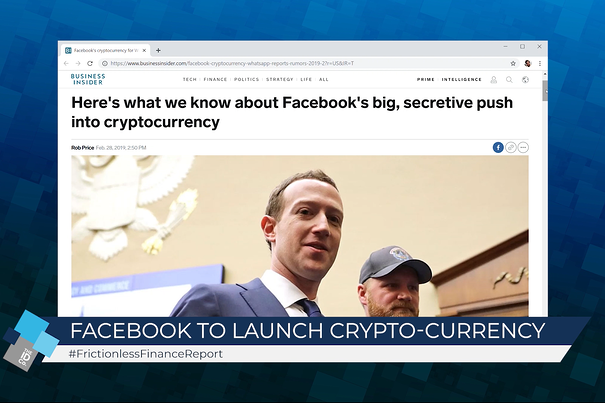 He also lists some of the companies that are starting to make waves in the industry, such as Starling Bank and Monzo, Bud Financial and 11:FS. The rise of Open Banking and technology within the finance sector means that new products and concepts are being produced on an almost daily basis. Below we bring you some of the biggest that have reached IDCO HQ this week. UK consumers would be willing to pay more for their banking services if it included media services such as Netflix or Amazon Prime, a new survey has shown. 57% said they would pay more for media services, 40% said they would for cashback, 37% for overdraft facilities and 22% travel insurance. The report once again highlights how consumers view their current account is changing, and issues a clear message to banks. “Beginning with software over 20 years ago, then with publishing and entertainment, now transportation, retail and banking – consumers want to be given the flexibility to choose without the burden of ownership” said the report authors. The new savings account from Goldman Sachs, Marcus, has attracted 100,000 UK customers since launching in the UK in September – a rate of one every 35 seconds. P2P lender, Zopa meanwhile, has closed its latest funding round after topping £60m. It plans to use the cash to offer investor led products, deposit accounts and personal loans. UK bank Revolut is to launch in Australia. Famous for their metal bank cards, the British neobank has attracted 20,000 Australians on to their waiting list. In further good news for the company, City AM revealed how they were in talks with Softbank on the possibility of a $500m funding round. App only Starling Bank have signed a partnership allowing for banking services to be provided through the post office’s 11,500 branches. The post office has over 99% coverage of the UK population, and will allow Starling customers to make cash withdrawals and deposits. We finish this week’s banking news with news that RBS has launched a standalone digital banking service, named Mettle. It will operate as a standalone unit within RBS and is also being backed by NatWest. The app has been designed in conjunction with 11:FS and Capco and will offer users a mobile app and debit card. Full coverage can be found in Forbes, Finextra, Computerworld, Morningstar, Asset Finance International and FinTech Zoom. Turning our attention to Open Banking in foreign climes, there is, as custom, a number of news stories relating to the introduction of Open Banking in Australia. As Australia readies itself for a potential summer 2019 introduction of Open Banking, scrutiny of the UK’s Open Banking system from Australian news outlets has increased. The Conversation has focused on the link between Open Banking and the new Consumer Data Standards, designed to democratise data and offer individual consumers control over their own data. 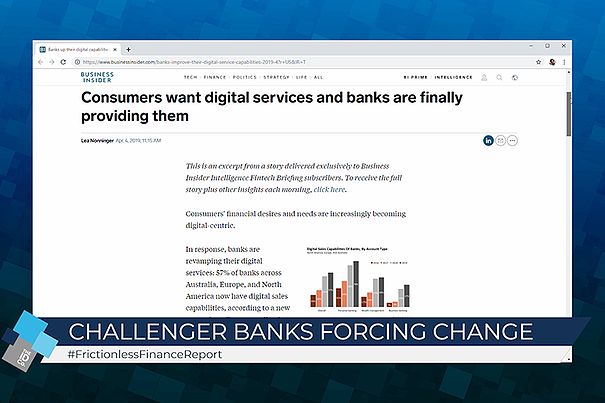 Australian Broker, has examined how Open Banking will work for brokers, and takes a similar line to Financial Reporter’s article (above) on how it will ultimately put more information in the hands of the broker, who can then make better, more informed decisions. American Banker has written a nuanced piece, that while focused on the US market, applies equally to the UK and Europe. They argue that as technology progresses and becomes ever more encompassing and powerful, that new rules of engagement are required to ensure there is no tension between innovation and financial regulation. They cite blockchain, AI, machine learning and cryptocurrencies as particular examples where this is required, and call on lawmakers to begin considering legislation. Interestingly, there is a similar article in FinTech Futures, looking at some of the regulations that have been implemented to regulate FinTech’s and asking what more is required. Banking Circle has also been considering the impact that FinTech has had on the banking sector, noting some of the major areas where FinTech has made its mark, including mortgages, lending accounts and payments. Last week we reported news from Moneyhub who stated that users of Personal Finance Management (PFM’s) apps had more savings and investments than those who didn’t. This week, as per Finextra, the “Global Financial Literacy Excellence Center at the George Washington School of Business” has refuted this by saying that users of PFM’s are in fact more likely to rack up debts and make poor financial decisions. Who’s correct? Let us know. The Department for International Trade – apparently not, for want of a better verb, gripped by Brexit – has concluded a deal worth £109m from 11 separate international investors that will bring a very specific 359 FinTech jobs to the UK. And the UK has also concluded a deal with Turkey on Islamic Fintech. “The Islamic finance sector is a rapidly expanding part of the global financial system. Currently, Sharia-compliant assets make up just one per cent of global financial assets, yet around one in four of the world’s population is Muslim.” said Dr Recep Bildik, business development director at Borsa Istanbul. The ID Co. has been working with UK FinTech’s and major banks to produce the first ever guidance proposal for FinTech’s looking to work with major banks. The document has been presented by Technation in association with the British Standards Institute. The delivery panel was made up of some of the foremost banks in the UK, including Lloyds, HSBC and RBS, as well as the UK’s most prominent FinTech’s, including The ID Co.
Coverage can be found on Finextra, FinTech Scotland, pmnts.com and Technation. We’re all set to go at the Open Banking Expo taking place next Tuesday in London. We’re excited about meeting with all delegates and speakers, and of course, do please look out for our stand. The ID Co., CEO, James Varga will also be giving a keynote presentation at 1600. We hope you’ll be there to see it. We’d also like to thank all speakers and delegates who attended our Open Banking for Investors evening last week. Feedback has been wholly positive, and the speakers did a fantastic job of engaging what was an already captive audience. We have two blogs and videos from the evening, you can see the first, with Imran Gulamhuseinwala here, and the second, on lessons in starting a FinTech, here. Finally, thanks to all who attended Open Banking Excellence on Monday at The ID Co. offices. It was great to see another fifty attendees hear all the latest offerings in the world of Open Banking and FinTech. If you’re interested in attending or contributing to the agenda you can find more information here. We’ll be taking December off, but look out for the return of OBE with new speakers, and a revamped format in the New Year – it's going to get even better. As always, if you have a story or article you’d like to contribute to the Frictionless Finance Report you can do so by contacting the team on frictionlessfinance@theidco.com.